Yu Ji is an artist. Entropy is a group exhibition presented at Faurschou Foundation Beijing, which aims to grasp the Chinese art scene at large by exploring the works of seven Chinese contemporary artists. 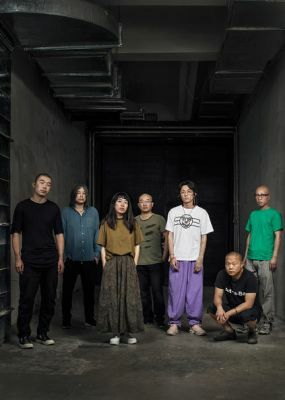 The exhibition, Entropy, consists of seven sections, presenting works that have never been shown in Beijing before, by artists He An, Liu Wei, Yang Fudong, Zhao Zhao, Sun Xun, Yu Ji and Chen Tianzhuo. Each artist has been given their own exhibition section, in order for them to express themselves with their own distinct voice. The overall exhibition offers the viewers an insight into the complex and ever-evolving Chinese art scene of today within an overall framework—artists born and raised in a rapidly changing China, marked by economic growth and cultural exchange. Like the scientific term “entropy,” which is a measurement of the number of possible states in a given system, the exhibition is one voice from China, formed by many, and can be interpreted and experienced in various ways. The seven artists presented at Faurschou Foundation were raised in China during different stages of social and economic reform. He An, Liu Wei and Yang Fudong, all from the 70s generation, seek to translate the complexity of their rapidly changing environment into installations, paintings, sculptures and video pieces. Their works originate from conflicting emotions, caused by clashes between urbanism and nature, as well as deeply-rooted traditions and a new modern reality—all of which the artists experienced first-hand during their youth. From the early 80’s generation, Faurschou Foundation presents artworks by Zhao Zhao and Sun Xun. Their installations contain references to politics, history and mythology, with Zhao Zhao’s works using subtle means of expression, whereas Sun Xun takes a more overt approach. Yu Ji and Chen Tianzhuo, both born in 1985, are the youngest artists in the group exhibition. Raised in a China that had acquired much greater wealth and stability than in previous generations, these artists integrate elements related to religious and everyday rituals through site-specific installations and performances. Over a decade ago, Faurschou Foundation began its venture into the Chinese art scene with the opening of its new space in Beijing. Today, the foundation is pleased to continue this journey and exhibit artists who are relevant in shaping the art scene today, both in China, and abroad. Over a very short period since its establishment in 2011 Faurschou Foundation has profiled itself as a significant art institution with solo exhibitions of among other artists Cai Guo-Qiang, Louise Bourgeois, Shirin Neshat, Gabriel Orozco, Danh Vo, Bill Viola, Ai Weiwei, Yoko Ono, Liu Xiaodong and Peter Doig.